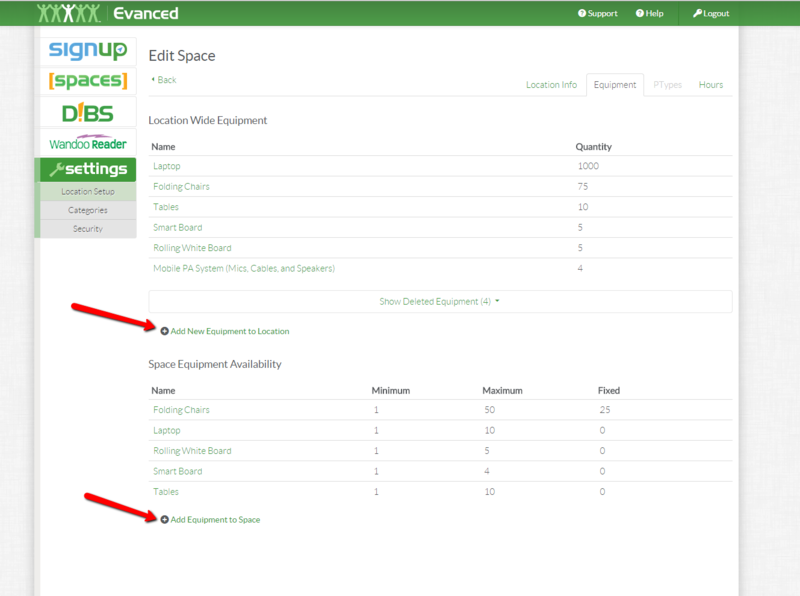 This document demonstrates how to add/edit equipment for use in Spaces. To add equipment to a space, you first need to add it to your location. The following method listed below adds the equipment by using the "Edit Space" page. 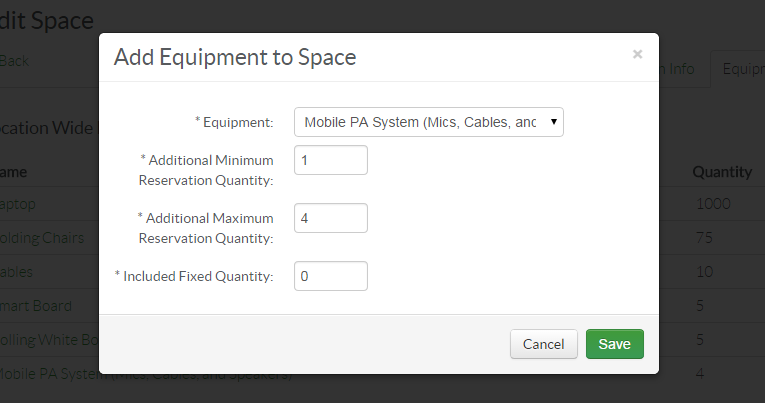 Now, click on "Add Equipment to Space"
○ Additional Minimum Reservation Quantity: Leave blank if using "Fixed Quantity" or enter "1" or greater. NOTE: Equipment is typically either "Fixed" or uses the "Minimum" and "Maximum Reservation" settings. If you have 12 laptops that are bookable in any room, you would enter 1 for the minimum and 12 for the max, but you would leave the "Fixed" field blank. Conversely, if you have a hanging projector in Conference Room 1, you would enter 1 in the "Fixed" field, but leave the Minimum and Maximum fields blank. Posted - Mon, Sep 29, 2014 at 1:44 PM. This article has been viewed 2855 times.